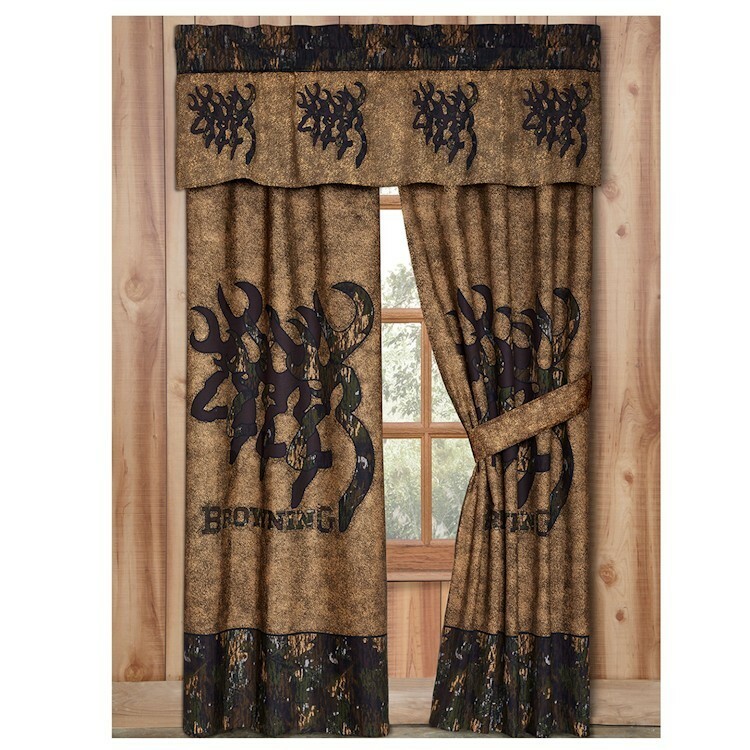 The 3D Buckmark Rod Pocket Drapes feature repeating camo Buckmark icons against a tan background with a wide camo bottom border. 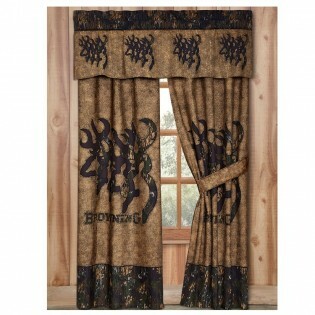 The 3D Buckmark Valance features repeating camo Buckmark icons against a tan background with a camo header. The 3D Buckmark Rod Pocket Drapes feature repeating camo Buckmark icons against a tan background with a wide camo bottom border. The 3D Buckmark Valance features repeating camo Buckmark icons against a tan background with a camo header.